Last April 2015, a massive earthquake devastated many parts of Nepal with 600,00 buildings. It is very exciting to hear the efforts of Nripal Adhikary and his group Abari who are promoting a safe, sustainable and cost effective method of rebuilding. Their aim is to use local available materials as well as labour! “The benefit of using bamboo is that once treated it is durable, as strong as steel, but flexible. Rammed earth walls are extremely strong and last a long time,” said Adhikary in a recent article in the Nepali Times. Abari have also build a school with open source plans for a school design using earth and bamboo which you can find at this link. 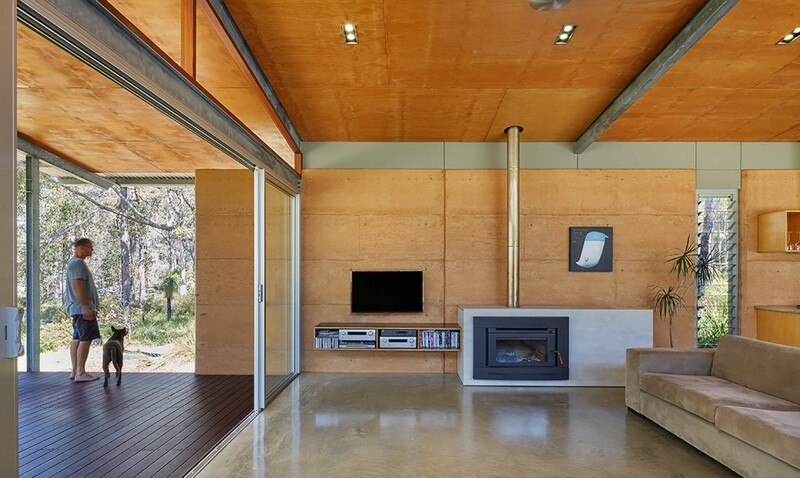 Designed by archterra architects in Western Australia, (not built by us) it is great to see their simple but contemporary design gain international attention for their sustainable approach. They have used a long east west axis, good cross ventilation and appropriate shading devices. 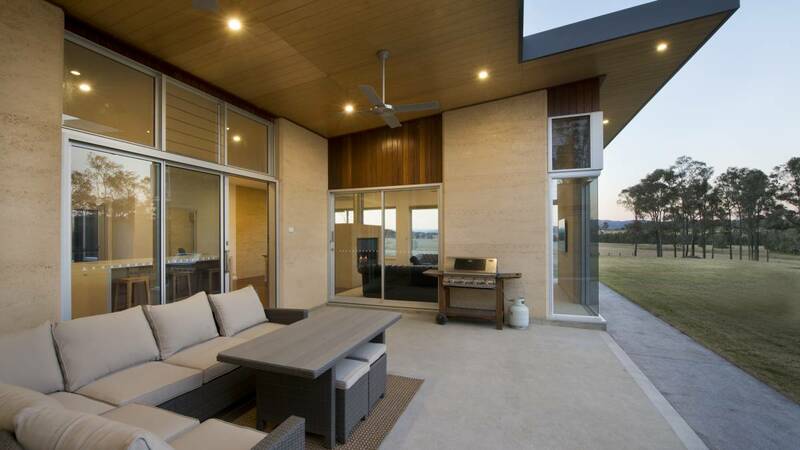 “Two rammed earth walls and a concrete floor slab help retain thermal mass” which is an excellent approach. 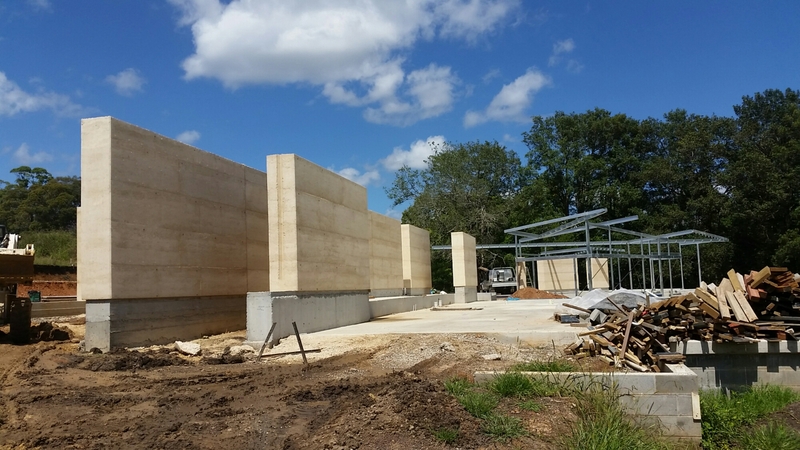 I think its thermal performance can be improved a little by replacing the south facing rammed earth walls a more insulated walls system. This would reduce the winter heat loss through these southern walls that never receive solar gain. You could then utilise more rammed earth internally. 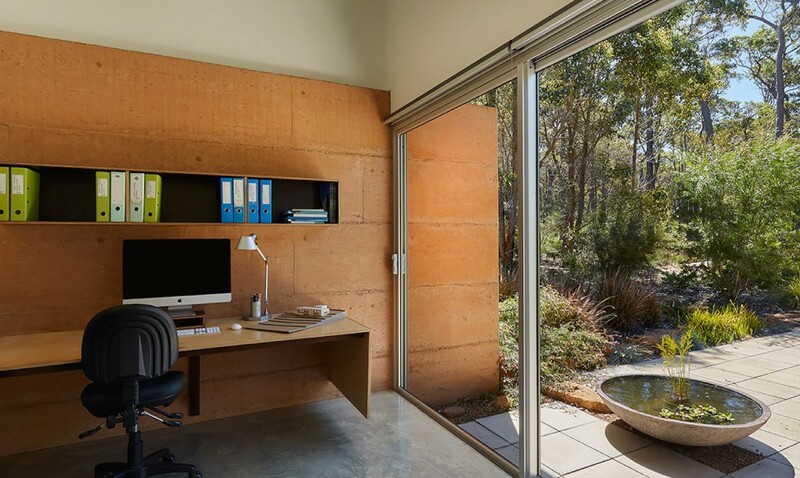 Internally positioned rammed earth is the best performing position as it is thermally isolated from the outside climate. This then gives you options in summer to cross ventilated during the cooler night and isolated it from the hot day time temperature. In winter the walls will absorb the winter solar gain from the great solar passive design and also any additional warmth introduced from the fireplace. These internal walls are great for regulating the diurnal (day vs night) temperature and are more efficient at regulating the humidity. 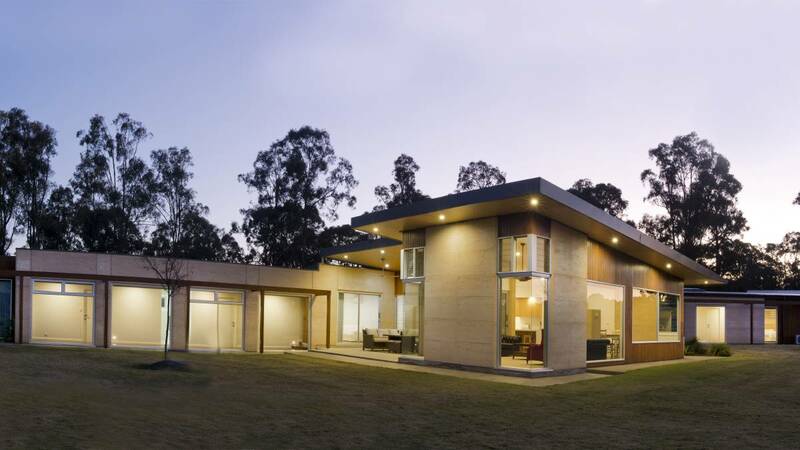 Recently featured in the Newcastle Morning Herald was a house we worked on couple of years ago. 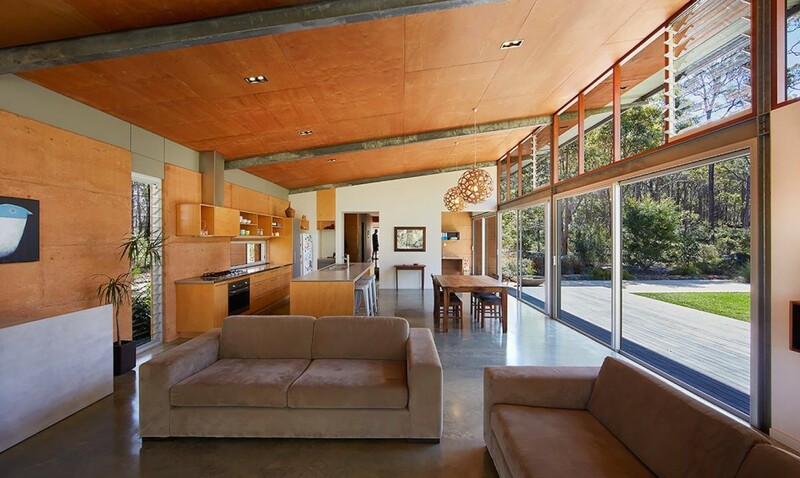 It was great job as the design by Mark Lawler Architects was a tjermally efficient use of rammed earth. The owner researched rammed earth extensively in a quest for a construction method that offered ultimate natural thermal and aesthetic benefits. “Arranging windows with north-facing glazing in all living areas and locating service rooms such as the garage, laundry and bathroom on the western sides of the home also enhanced the thermal efficiency and comfort.” Read the full article at this link. 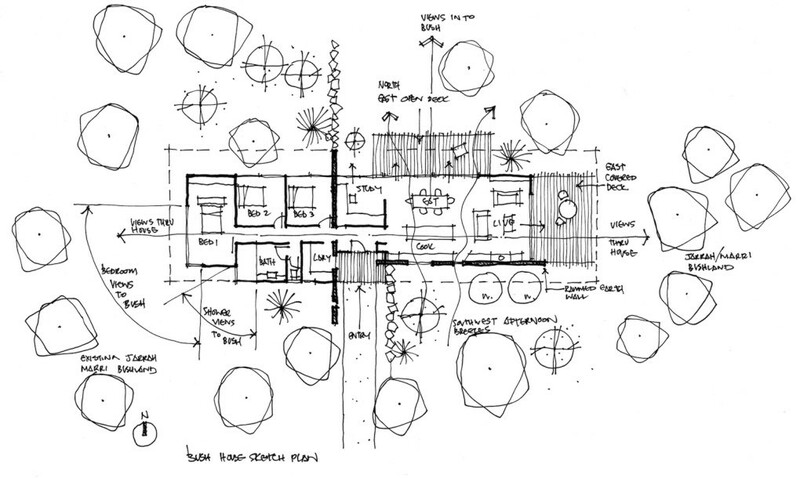 We have been enjoying the solar passive design on our current project at Wamberal on the central coast of NSW. It has a long east west axis and loads of internal 500mm thick rammed earth walls… plus heaps of cross ventilation pathways. On top of this will be an amazing origami like roof line that will twisted and bend up to the north to let the winter sun in. The warm of the winter sun is called APRICITY….. which some might call a luxury but we think should be standard feature.